Michael Toledano – Writer, photographer, filmmaker. Editorial photos – Unist’ot’en Camp, Chemical Valley, Movements, and Tar Nation. Produced for Idle No More. In honour of Art Manuel and the integrity with which he always began with the land and honoured the grassroots people, the #Unsettling150 crew are proud to launch this video filled with Art’s words, read by his daughter Kanahus Manuel, to launch the final lead-up to the national day of action, education, and reflection. Short documentary on the coroner’s inquest into Andrew Loku’s death, and the officer responsible for his homicide. Short film on an Algonquin band councillor and a group of youth from Barriere Lake who traveled to the shareholder’s meeting of a company with a mining claim on unceded Algonquin territory. Two short docs on Black Lives Matter Toronto’s direct actions around the Pride festival. I produced a five-part series of short documentaries for Black Lives Matter Toronto as they occupied Toronto Police headquarters for two weeks. These videos were each shot and edited the same day the story unfolded. 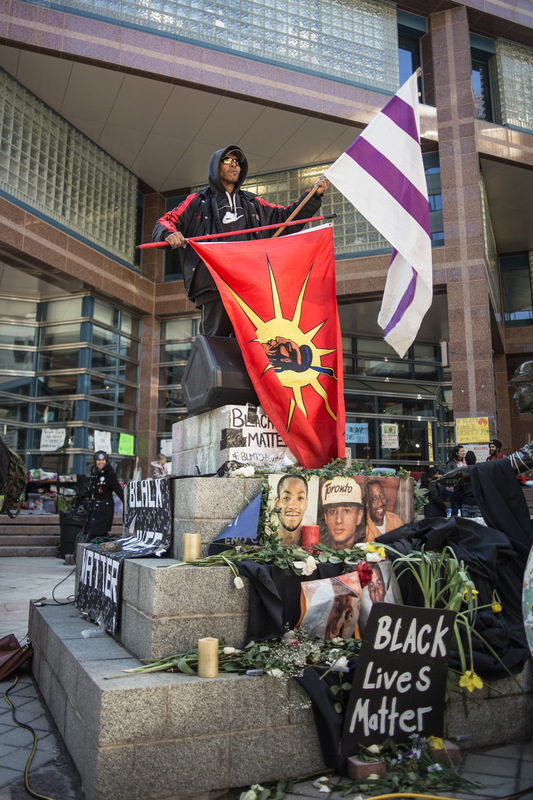 Activists disrupted the world’s largest mining convention to hold a vigil for the people killed in opposition to Canadian mining projects around the world. The protest came four days after Bertha Cáceras, an Indigenous leader from Honduras, was assassinated in her home. This short video was produced for Submedia.tv, an independent media channel run by Franklin Lopez.